The Rosemount course at Blairgrowrie Golf Club ranks one of the very best inland courses to be found in the British Isles. It may not have the grandeur of Gleneagles wide and glorious vistas but Rosemount is spectacularly beautiful place in a very much different way. The course has that wonderful charm, found in so few courses, of having each hole as an individual entity unaffected and untouched by any other. The course is set in the tranquillity a private thoroughfare fringed with heather, pines and silver birches. This golf course is almost as well known as St Andrews outside Scotland for its majestic Gleneagles Hotel situated in Perthshire. 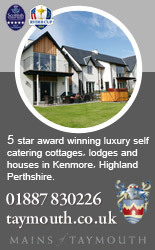 This course is the very much celebrated retreat for the rich and famous as a world class resort, perceived very much essential Scottish Experience by Americans visiting Scotland. Glen Eagles Golf Course achievement and success is very much intertwined history with the success of the Caledonian Railway Company which made plans back in 1912 and proceeded to build the hotel in the centre of Perthshire in 1915. Nairn golf course enjoys a rather less recognition than the more prominent and famous golf courses which are scattered across Scotland. The course sits on the Moray Firth with just as spectacular scenes as many of the famous courses and yet still remains one of Scotland’s underrated courses. 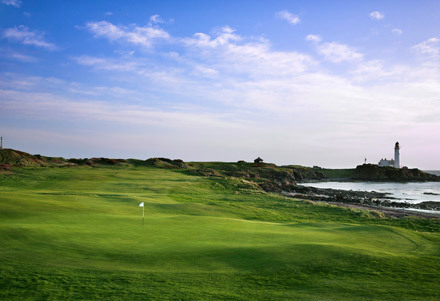 The Course runs along the North Seas edge with the crisp side turf alongside its fairways. Commented by many saying “This is where the greens stay firm and fast as can be found on any day in March”. The west coast of Scotland is less endowed with great link courses than the east side but what it misses out in quantity it makes up with quality. The golf courses lives to the southern end of the spectacularly vista views of the Ayrshire coast which stretches down the Stranraer. The golf clubs was founded in 1870 being originally a four hole course which grew over the coming years with many holes being cut with a knife, noted by Ian Mackintosh. It wouldn’t be till 1878 that the course would be known as The Royal Troon golf course. Stands a one of Scotland’s majestic and famous golf courses for its Open Championship Ailsa Craig course and Championship Kintyre course situated on Second World War run way. The golf course has world famous hotel which is nestled above the course which looks towards the island named Alisa Craig. This golf club has become a world famous resort for the rich and famous with many helicopters arriving at the hotel throughout a typical day. Western Gailes is rather lesser renowned golf course than its neighbours The Royal Troon Golf Course and Prestwick Golf Course through their own fame. Western does enjoys the similar vista views of the Ayrshire coast with access to rail and road and closer proximity to Glasgow than many of the other golf courses in the area.